The Dudes talk to Dr. Zoë Harcombe in this second of a two-part series. While in London, Carl visited Zoe at her home where Richard Morris joined the conversation remotely. Zoë HarcombeDr. Zoë Harcombe is a Cambridge graduate and author of six books including Why do you overeat? When all you want is to be slim? (2004 & 2013); Stop Counting Calories & Start Losing Weight(2008) and The Obesity Epidemic: What caused it? How can we stop it? (2010). Zoë has a PhD in public health nutrition. Her thesis was entitled “An examination of the randomised controlled trial and epidemiological evidence for the introduction of dietary fat recommendations in 1977 and 1983: A systematic review and meta-analysis.” A number of peer-reviewed articles have emanated from this work. Zoë passionately believes that current dietary advice is wrong and that populations need to return to eating the real food that we ate before we had epidemics of obesity and diabetes. Apparently this is a controversial proposition! 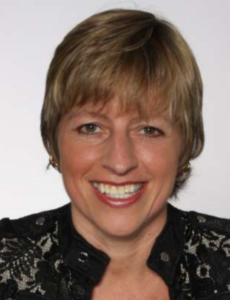 Zoë shares her views at conferences worldwide and in her highly-accessed diet and nutrition blog (www.zoeharcombe.com). Zoë lives with her husband and rescue animals in the Welsh countryside surrounded by food, a.k.a. sheep, hens and cows.